They develop creative solutions to human needs, whether these are in the form of physical products or user experiences. What special abilities should a designer have? They must be creative, inventive and curious. Your industrial design studies will take these innate abilities and couple them to applied studies. Creative expression is the core of the program and aesthetic sensitivity is required. However, rendering skills are taught and computer rendering makes concept development more approachable to everyone. Wherever innovation is needed! Employment opportunities exist at companies connected with large consumer oriented or specialty products as well as design consultancies. How does industrial design differ from engineering? It is concerned with functionality, ergonomics and aesthetics more than engineering analyses. However, industrial designers can work with engineers to produce a finished product. Can I transfer from another program? Because design is interdisciplinary, the industrial design program provides a good opportunity for students wishing to transfer from other disciplines. Many academic minors are available that reflect the broad approaches applicable to design. How does Penn Colleges program differ from other programs? 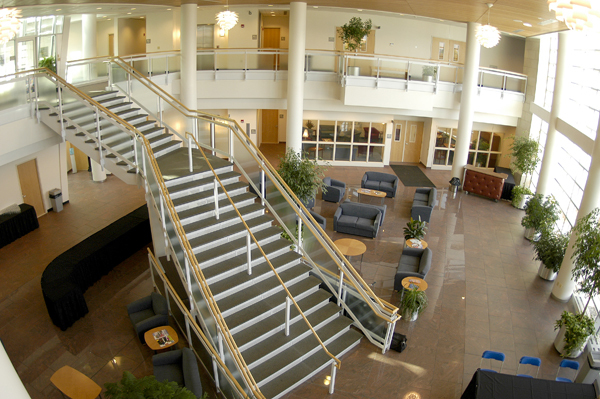 Penn College includes study of ergonomics, engineering and manufacturing. The program allows for concentrations in areas of student interest. In addition, Penn College is focused on hands on, practical application of knowledge. This is the first (and only) B.S. degree of its kind in Pennsylvania. Graduates of this program would obtain jobs in the following areas: industrial design, interaction design/human factors design, environmental design, and packaging design. According to the Bureau of Labor Statistics, the median annual wage for commercial and industrial designers was $66,590 in May 2018. The top 10 percent earned more than $108,040. Prior to beginning the third year of study, students must demonstrate proficiency in designing creative, practical products. Specifically, students must demonstrate the ability to sketch design concepts and to assess their feasibility based on engineering, marketing, and manufacturing constraints. These proficiencies will be demonstrated by earning grades of a 'C' or better in the following courses: BIX 110, BIX 220, and ART 109. Students must also meet the minimum GPA requirements established by the College's Academic Probation policy. Students with previous college experience related to art, engineering, or product design may be eligible for transfer into this program. Dr. Joetta Gobell, Director, Research, Frank N. Magid Assoc., Inc.
Ms. Anna L Griffith, CEO & Co-Founder, Discovery Machine Inc.
Mr. Ian Proud, Director of Research, Playworld Systems, Inc.